Submitted by: William G. Haley Jr. 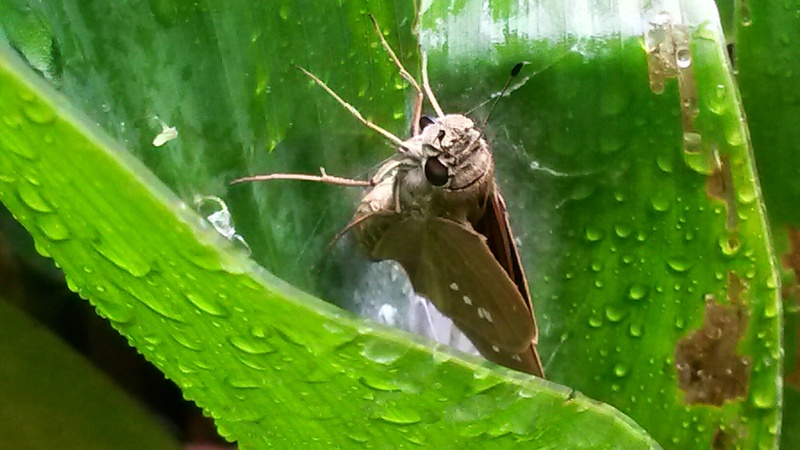 Observation notes: Adult had just emerged from a chrysalis on canna, which was the host plant for the caterpillar. Weather was light, misty rain, 78 F.
Coordinator notes: This is the first Hamilton County record for this species in the BAMONA database, and the fourth for the state of Tennessee. This is the 105th species of butterfly documented in Hamilton.